I had just sold my interest in a Real Estate Development for a six figure sum. After dealing with some unscrupulous business partners in a prior student housing development at the University of Utah, I elected to sell my interest in the project. I had worked very hard at planning and positioning this development and it was poised for almost certain success, but in the end, I knew it was destined for a lengthy legal battle. By negotiating for a reasonable buyout, I exited the partnership, freeing up my time and money to pursue other opportunities. It was only a handful of months later that I found myself in a local barber shop getting a hair cut. I was engaged in small talk with the barber, when he asked me what I do for a living. Among other things, I told him, I was a real estate developer and investor. A man sitting nearby, waiting his turn, overheard my conversation with the barber. This man began to tell me of some land and apartments he and his family owned and were considering selling. I inquired as to the location, to my surprise it was less then one block removed from the development that I had only months earlier been involved with! 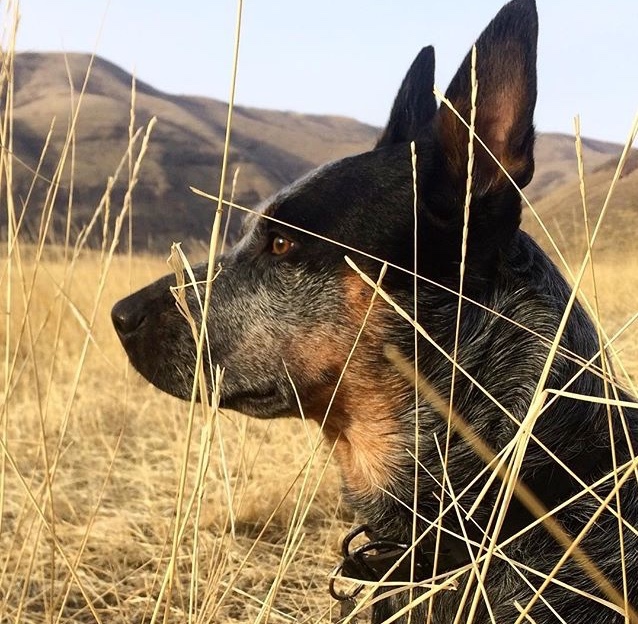 To make a long story short, we agreed to meet and look at his property just a few days later. The property was ideal, following a couple of months of negotiation, we ended up purchasing the property. It’s amazing what a person can learn, or even gain if they are just willing to listen! My partnership purchased 13 apartments, contained in 3 separate buildings, situated on .62 acres of land in late January 2017. To date we have renovated 10 of the 13 units, and in the coming months we will complete the remaining 3 apartments. The acquisition of this small project was a very timely and fortuitous opportunity. Nine of the apartments were owned by three siblings that had inherited from their mother. The property was managed by one of the siblings on behalf of the other two siblings that lived out of state. Based on the disclosure information provided at purchase, it was clear that the managing sibling was egregiously dishonest with the other two, charging unrealistically high management and maintenance fees, with no evidence of the claimed updates ever being completed! This was all intertwined with a second party owner that effectively divided the apartment units in a manner that made the apartments unsaleable, unless all the interested parties were in agreement to sell simultaneously. 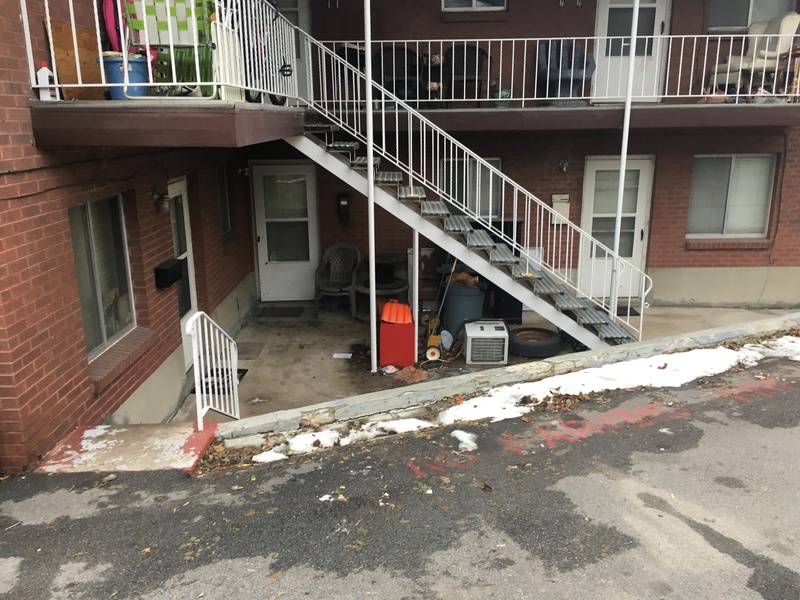 Due to the unusual manner in which these apartments were owned and operated, coupled with the fact that the apartments had deteriorated to the point that many of them were uninhabitable, my partners and I were able to purchase them with a whole lot of upside potential. 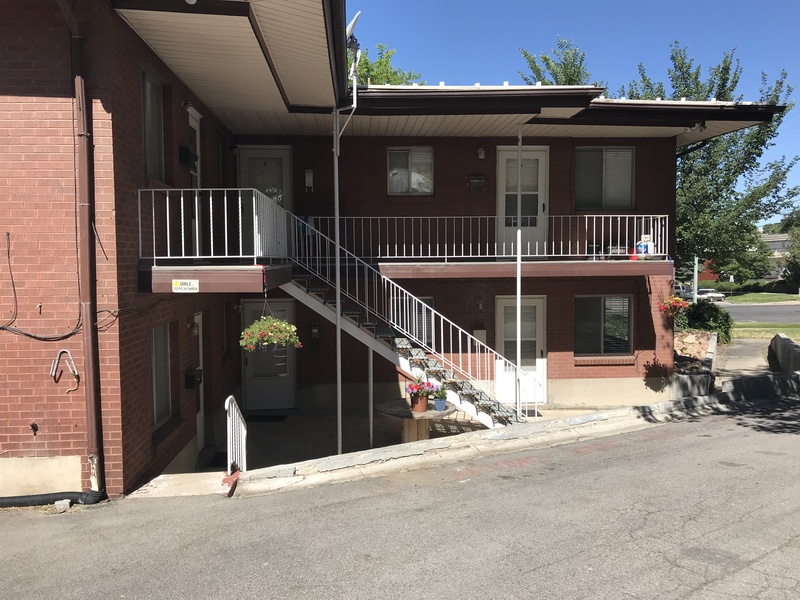 The apartments are located in one of the best locations in the city, very near the University of Utah and only one block removed from the city’s light rail transit system. 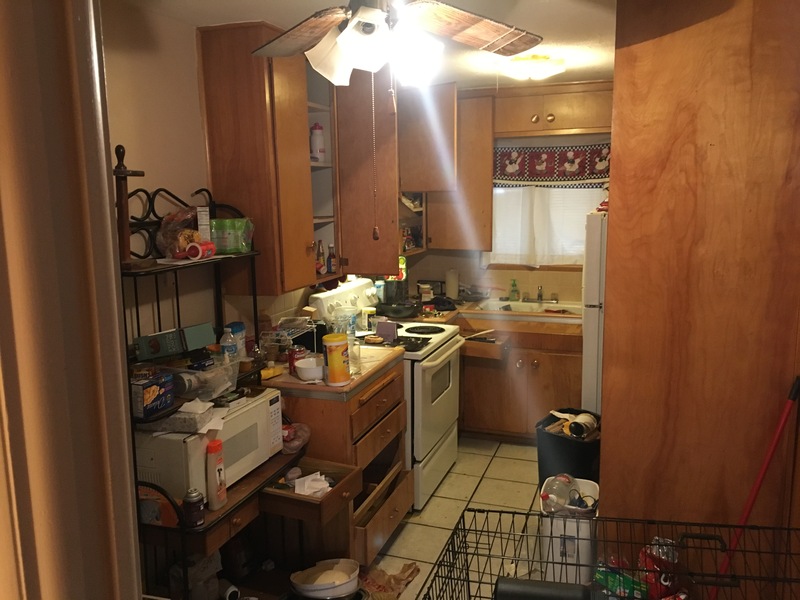 Due to the complexities of the sellers’ ownership structure, coupled with the poor condition of the property itself, I was able to purchase the property at $78,000.00 per door, well below the market rate for other like-kind properties in the area. By contrast, the former apartments that I purchased and mentioned above, were bought at the price of $105K/door. These properties are comparable by location, era (40’s & 50’s) and size, yet I paid $27K less/door! Shortly following my partnerships acquisition of the apartments, we evicted tenants from 6 of the 13 units (1 was vacant upon purchase). The reasons for these evictions varied to some degree, but as a general rule it was due to non-payment of rent. It goes without saying that is quite impossible to run a profitable operation if the tenants do not pay their rent. In addition, several of the units were dealing drugs and running a brothel among other things. This of course was attracting some unsavory characters. I mention these fact for two reasons, first it paints a vivid picture of the kind of condition the apartments were in, and secondly, it points to what a bit of vision can produce. 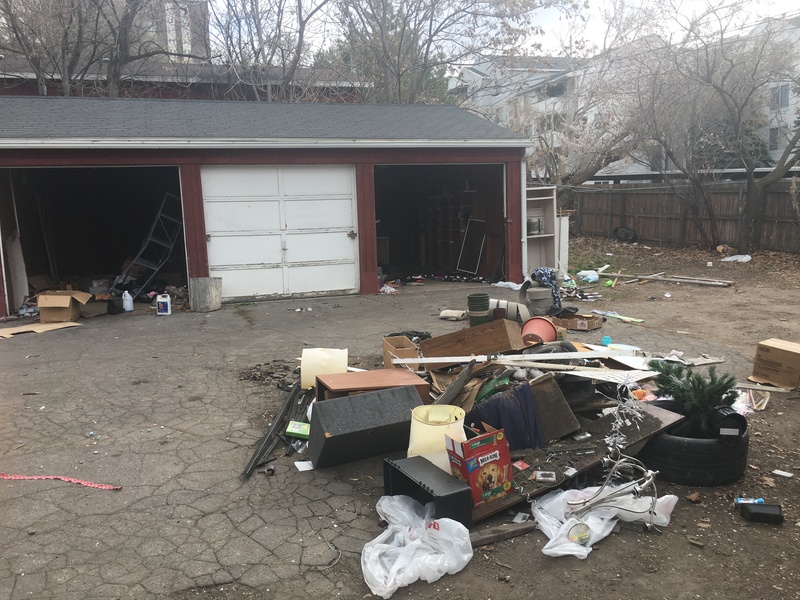 Cleaning out the trash and junk helped increase the value by $15K/door! 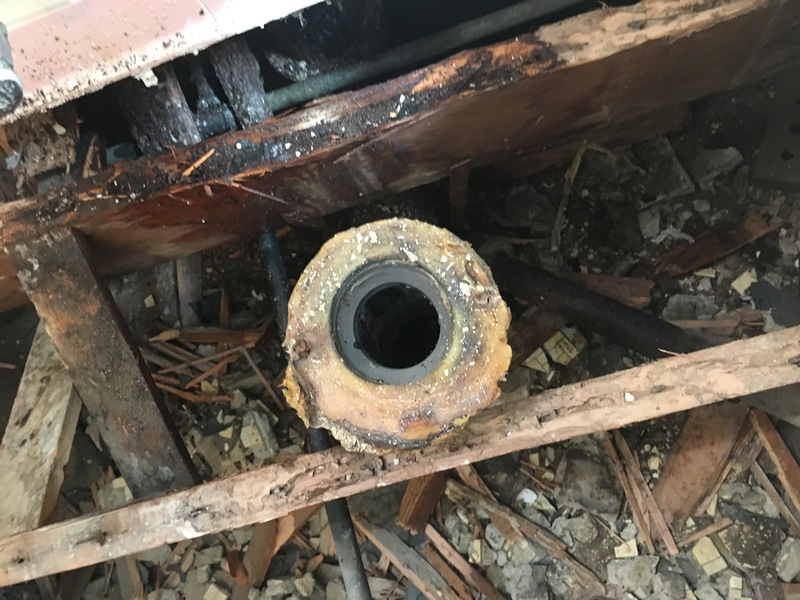 Rotting floor joists in need of replacement! As I mentioned, the location of these apartments are ideal, as they are in an area that demands some of the highest lease rates within the entire city. The rental income for these apartments was at about 60% of the going rate for similar properties in the area of similar size and age. 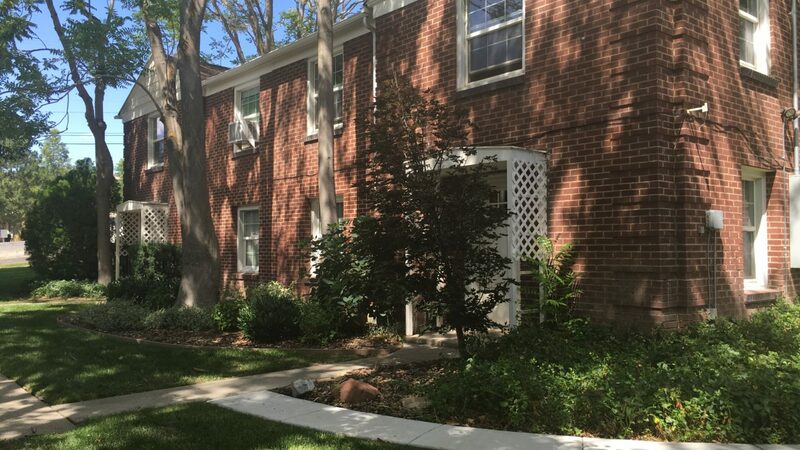 The 10 units that we have remodeled to date have not only matched the market rate for the area, they have actually set the new standard with some of the highest rents achieved to date. Just cleaning out the junk and adding a small amount of beautification can increase rents and value of your property!